The Football Business Academy and Girona FC have established a partnership that will see both organizations collaborate on educational and professional development matters. 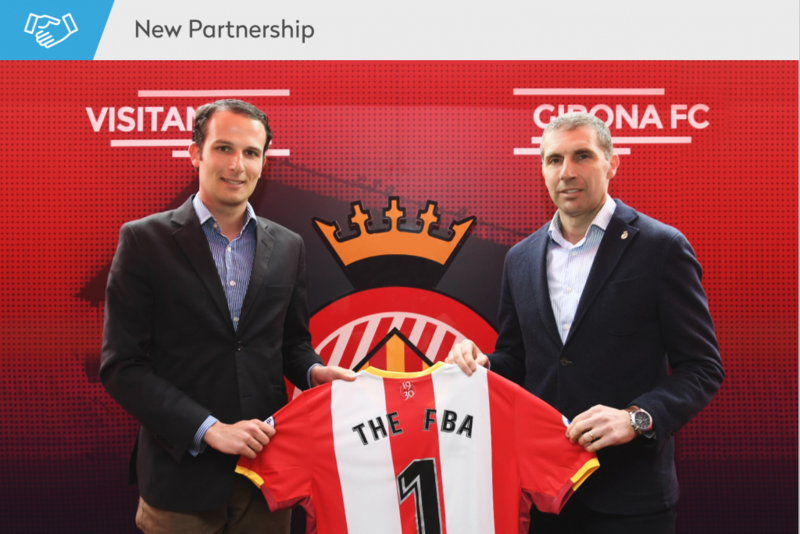 The Football Business Academy is delighted to partner with Girona FC, the LaLiga club which as of last year is co-owned by City Football Group and Girona Football Group (the latter led by Pere Guardiola, brother of Manchester City manager Pep Guardiola). The club is still only in its first ever top flight season and has had to professionalize its internal structure and processes considerably in order to compete with other LaLiga sides on and off the pitch. This partnership, then, could not have come at a better time as it will allow Girona FC to pick the brains of The FBA’s master degree candidates while, in turn, offering them a unique learning environment for their professional development in this industry. The partnership will kick off in full glory later this month when Girona FC starts hosting two of The FBA’s 1st Edition candidates during their internship module. The candidates, a Spaniard and a Colombian, will support the club’s marketing, merchandising and finance efforts with the intention of further developing the club’s commercial potential as it strives to sustain itself in the heights of Spanish football. Furthermore, Girona FC will be able to sanction practical Student Business Projects (a consulting-like group project which candidates develop and present at the end of the Master program) – enabling The FBA candidates to show their worth in the football industry while serving the club in their best interest. Girona FC is a professional football club based in Spain. Founded in 1930, they would wait 87 years and put on a comeback from the country’s 5th tier division (since 1982-83) before consolidating a first ever promotion to LaLiga last summer. They are currently 9th in the league having drawn both fixtures against Atlético de Madrid and having surprised friend and foe by outplaying football giants Real Madrid 2-1 at the Estadio Montilivi.